The Federal Motor Carrier Safety Administration (FMCSA) ordered the immediate shut down of two motorcoach carriers, each for disregarding federal safety regulations and putting their companies’ own drivers, passengers and the public at risk. 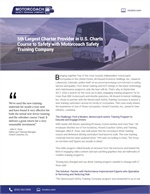 Woodburn’s Tour and Travel LLC, doing business as Woodburn’s Motor Coach, of East Point, Ga. Federal investigators found that Woodburn’s fleet of 11 motorcoaches did not meet minimum safety standards as the company failed to systematically and properly inspect, repair or maintain the vehicles. Investigators also found that the company’s owners failed to monitor and ensure that its drivers complied with controlled substances and alcohol use and testing regulations. Drivers were employed before receiving negative pre-employment drug and alcohol test results as required by federal law. The company failed to require its drivers to turn in hours-of-service records or other required documentation, such as driving itineraries and fuel receipts. Motts Transportation Inc. of Cordesville, S.C. Federal investigators found that this passenger carrier and the company owner, Jerome Carter Sr., failed to monitor drivers and failed to ensure that vehicles were systematically and properly inspected, repaired and maintained. The company failed to require its drivers to comply with federal limitations on driving and on-duty requirements. 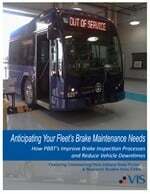 In at least one instance, an unqualified individual was allowed to operate a motorcoach. Thus far in 2014, FMCSA has declared five passenger carriers, two property carriers and four commercial drivers to be imminent hazards to the public, prohibiting them from conducting operations in interstate commerce.